Metal Structure Design and Design Methods in Construction - Rosh Metal Ltd. Metal Structure Design and Design Methods in Construction - Rosh Metal Ltd.
Construction and other building structure engineering (for both commercial and residential industries), basically rely on metal construction fabrication materials and assembly. It has been a beacon for high-quality building infrastructure. 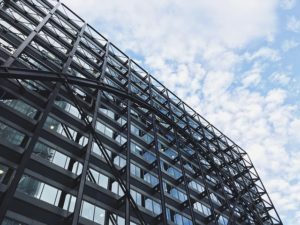 Furthermore, steel materials such as stainless, iron, aluminum and even precious metals like silver and gold are incorporated in building construction for stronger and reliable structure. 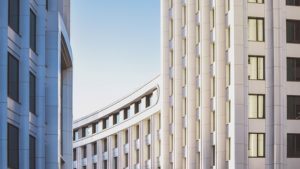 Steel and other metal materials for infrastructure have become popular for infrastructure use not just for the resolution of quality, durability, and wear – tear issues; but also because metal construction materials to be easily transported. Fabricated cement cannot provide the same strength if divided into parts and will be assembled on site. However, metal can be fabricated separately and can be transported in smaller pieces. The piece (like for bridges or skyscraper’s main backbone support tower), can be assembled on site. Bigger metal construction parts can be stored on site in a contained place and will be assembled during the construction stage. Unlike wood, glasses, cement, and other raw materials that have to be kept in a controlled environment and certain conditions. Most metals like stainless steel and aluminum do not require much maintenance compared to wood and cement. Generally, building manufactures from a fabricated metal (regardless of metal type and kind) would still cut the cost down up to half the value of the project. This is can trim down the cost of transportation and storage cost. Metals are commonly used for decorative pieces to accentuate modern look on building structures. Space availability, physical architectural appearance and building wall cohesiveness with the added furniture (usually metallic theme) can increase modern and updated contemporary look of the building. Basically metal joints are fully rigid and sturdy forces. Beams and frames can basically be best represented by portal frames structures – very defined metal structure. Space is somewhat restricted and all metal frames are done in complete sets. While designing the structure there are matters that need to be raised: functionality of the structure, considered methodologies, structural design functionality, resolution of the project, parameters involved in the construction, demand in structural capacity, and (the most important of all) steel plan requirement. The Load Resistance Factor Design is an extensive design construction methodology which generally uses a strength-based philosophy for both wood and metal parts. The LRFD have been consistent enough to provide a considerable amount of structural safety conditions. Originally, the Allowable Stress Design (ASD) has been designed for steel structures and was later improved for a much better steel production and more doable steel structure construction. LRFD is pretty much an improved version of the simple steel design structure of ASD. Of course, without ASD, the LFRD would not be fully developed. It is a re-engineering of existing design structure methodology. The LRFD considers variables of load, measures relative safety rationale, and specifies internal and external factors for stress, load and resistance. These factors include ductility of a structure designed, rigidness of metal structure, the tenacity of steel parts on the structure, durability of the steel structure, and shock absorption of the metal support, and the strength of the steel used in the structure. All are significant variable factors that affect the quality of the building construction. The resistance in the Load Resistance Factor Design or LRFD are determined by the material used, size of construction materials, and the coordination point of the materials integrated together (often known as the X structure point). Example: Roofing system is composed of 70% stainless steel still and iron bars with 30% integration of concrete (cement) material, supporting both weight of the tin ceiling with the help of reinforced concrete walls and 5 steel posts on all corners. A graphic 3D design has always been associated with animation. In engineering industry, 3D Building Information Modelling (commonly known as BIM) has played an important role for architectural, mechanical, structural, project management, and technological industries. As early as 1970’s, BIM has been used as a formal procedure to utilize virtual model before the actual for project implementation. In structural steel fabrication engineering, BIM has become an integral part of planning and design. Basically, with the recent changes and new releases of modern design software, the traditional method of manual drawing board design plotting, are now digitized. The engineering discipline behind the dependence of the steel structural industry to 3D design modeling software is not only due to popularity and coping with the technology but also with the essential positive results brought about by it. Digitally modeled plans and designs can result in the following benefits. BIM has become an integral advancement in the steel industry; it allows construction industry to become more efficient and cost-effective. 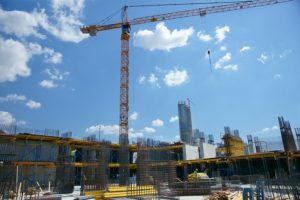 Based on current statistics, there have been more or less 20% of the $4 trillion of non – residential construction alone is loss due to unexpected delay and other unnecessary overhead expenses. Engineers, fabricators, and builders can now prevent project delays using 3D Modelling software. There are basically a lot of graphic designs software vendor around that provide such facility. Major steel companies rely and invest a great amount of budget on the specific software of choice, as long as vendors’ products are based on the international standard.